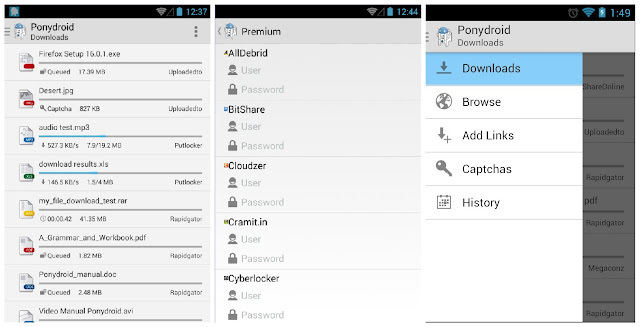 Ponydroid is a download manager download manager specially designed to optimize and automate the downloads. 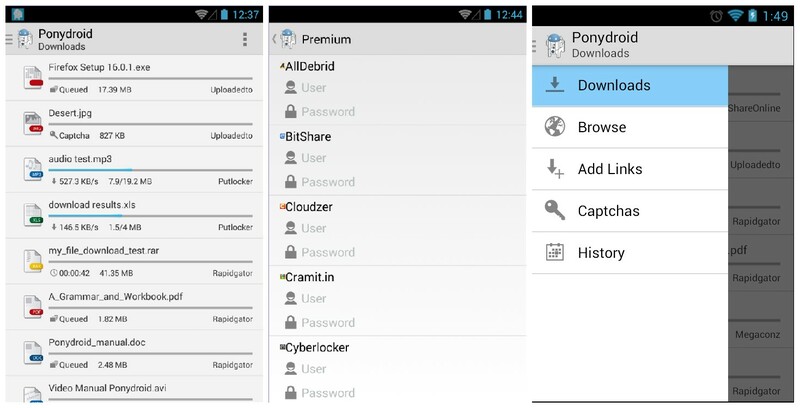 Install Ponydroid on your smartphone or tablet and enjoy the comfortable features when it comes to downloading files. 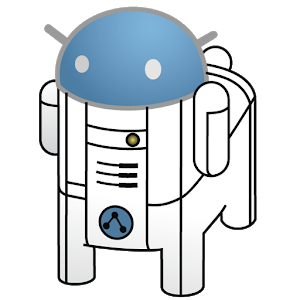 Ponydroid Download Manager is available in English, Spanish, Japanese. Italian, German, French, Portuguese, Simplified and Tradicional Chinese, Russian, Polish, Romanian and Korean. analyzes the avaibility of the files. more than 300 file hosters supported, including Rapidgator, mega.co.nz, Zippyshare, Uploaded.net, Nitroflare, Mediafire, Depositfiles, Filefactory, Uploading, 4shared, etc.